The Commission of the European Union requests Finland to organize an extensive bioeconomy conference during Finland’s EU presidency in the latter half of 2019. 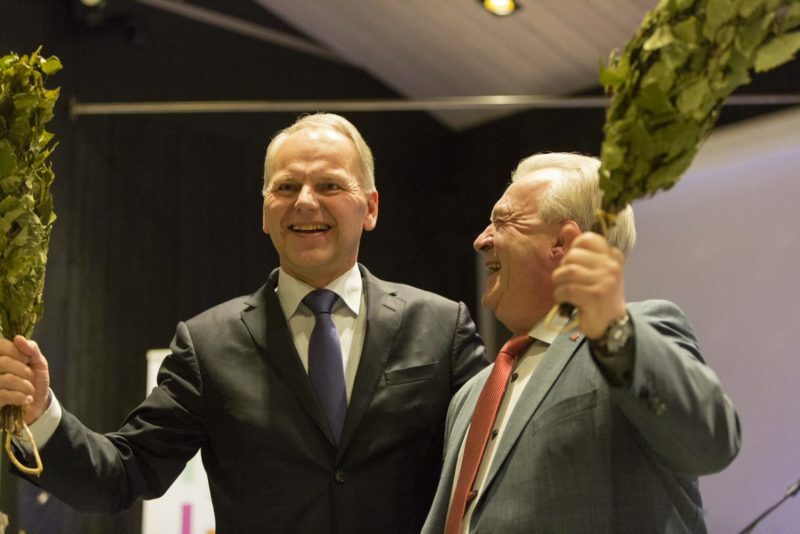 The EU Commission’s request was made public on Wednesday by Jari Leppä, Finnish Minister of Agriculture and Forestry, in Asikkala, southern Finland, at the opening ceremony of the Forest Academy for EU Decision Makers. The Academy is a joint effort of Sweden and Finland, and on the Finnish side it was organised by Finnish Forest Association. Minister Leppä further mentioned that during the presidency, Finland will strive to promote the EU bioeconomy strategy in other ways, too. The presidency starts on 1 July 2019. As an example, not only will the EU forest strategy be implemented, but also strengthened, in order to attain the union’s energy and climate goals. Earlier this month, the Finnish government proposed an extensive afforestation programme as part of the Finnish climate action. This would include the afforestation of unused agricultural fields, among other things. A project is already under way to map areas suitable for afforestation in Finland. The aim is to identify areas that would be most advantageous for strengthening the carbon sink. The potential for afforestation in Finland is, however, not that great, as most of the land area already lies under forest. The other Finnish proposal announced at the opening ceremony of the EU Forest Academy, aimed at establishing a joint EU-Africa afforestation programme, is therefore more important on the global scale. The idea is to make the programme a part of the Africa-Europe Alliance proposed by Jean-Claude Juncker, President of the EU Commission. The Finnish proposal has been presented to President Juncker by Juha Sipilä, Prime Minister of Finland, and to Phil Hogan, EU Commissioner for Agriculture and Rural Development, by Minister Leppä, who also presented it to the Agricultural Council consisting of the ministers of agriculture of the EU member states. The Finnish initiative addresses a critical problem with the help of Finnish know-how: the annual forest loss in Africa is as much as two million hectares – and if anyone can be said to know about afforestation, it is the Finns. The most important reasons for the forest loss in Africa are the gathering of firewood and the clearing of forests for agricultural fields. Establishing new forests and using them in a sustainable way could, however, create new jobs and bring income in rural areas of Africa, as well as for young Africans, which is the main goal of the alliance proposed by President Juncker. “We need to invest thousands of millions of euros in afforestation, forestry, and forest management and protection,” said Minister Leppä at the opening ceremony of the EU Forest Academy. A guarantee programme of up to 60 thousand million euros has been spoken of in public, to boost private investment in Africa. According to Minister Leppä, afforestation and the sustainable use of forests bring many advantages. They increase the carbon sink, prevent erosion on agricultural lands and increase food security. Forest management and forestry, and the forest industry based on them, offer jobs and better future prospects for young people in rural areas, while also providing products and services to replace fossil raw materials. All this will also improve the opportunities to protect natural forests.